Our Grandview Wall and Patio enclosures offer a panoramic view of our beautiful surroundings. These sunrooms feature thermally broken frames and hi-performance glass that will allow you and your family to enjoy the room year round. It’s a versatile home addition that will serve your family for years to come. The first is a traditional sunroom made with sliding window screens. Notice the large glass panels that reveal the full view you want. The best views are unobstructed by screens, aluminum and sliders. The fixed glass offers superior safety, comfort and energy performance. Virtually unbreakable tempered safety glass comes standard with our Grandview sun rooms. Improved comfort comes with the optional SilverCoat Lo-E, hi-performance glass that reduces solar heat gain and ultra violet light penetration. These coatings help you enjoy winters and summers. Permanently sealed inside the window units, these coatings help you enjoy winters and summers. Our GrandView roof system is constructed out of 4-ply insulated OSB 4 Ply Roof System snap together panels. 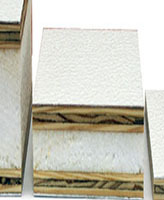 It is pre-engineered for heavy snow loads and has great energy savings properties. Imagine yourself enjoying the comfort and view with the Grandview sunroom home addition. View our standard sizes here.